» Wire Fitting Brush, 5/8"
Ideal for cleaning plumbing fittings prior to soldering. Great for removing corrosion from battery terminals, tubing or black pipe. 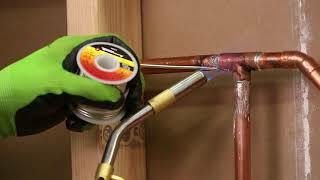 Ideal for cleaning plumbing (copper) fittings prior to soldering. Great for removing corrosion from battery terminals, tubing or black pipe.